Panoramic images of wildlife from vertebrates down to invertebrates such as birds and butterflies. Photographed on the Tuesday 06 September 2016. 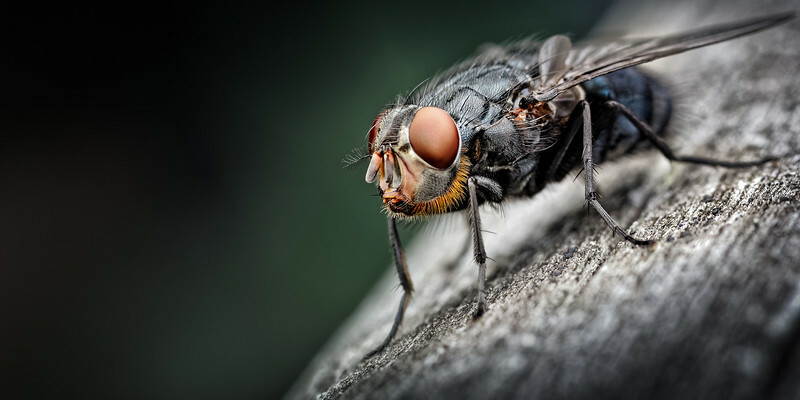 This image is of the blowfly (cluster fly) known as a Bluebottle (Calliphora vomitoria) and belongs to Class Insecta, Order Diptera, Suborder Brachycera, Family Calliphoridae, Subfamily Calliphorinae and Genus Calliophora. Its larvae, white maggots are often used for fishing bait. The blowflies (also written as blow fly) are usually of a bright metallic green, blue or black hue and quite audible in flight. There are about 1000 species described worldwide and about 38 species occur in the UK. In fact this fly is virtually identical too Calliphora vicina. However in C vomitoria the jowels have orange/peach coloured hairs as can be seen here in this image and is the only difference of note. The term blow fly came from the old English, where meat that had flies eggs laid on it i.e. ‘fly blown’. The larvae of most species of blow flies are carrion and dung feeders, in the case of Calliphora they are carrion feeders. As such these blow flies have a lot of interest for forensic entomologists that specialise in estimating or determining time of death by blow fly and other insect or worm infestation and their relevant stage of life cycle. Blow flies have also been known to attack living tissue as well e.g. I have seen them attack mice and sheep often have to be sprayed against ‘’Fly Strike’’. Similar to butterflies these flies taste with their feet. Conversely some of these same maggots are still used to clean wounds and dead necrotic tissue and was particularly used during war times of old. A little less known is the fact that blow flies are also important pollinators and in particular are attracted to flowers with odours resembling that of rotting flesh.